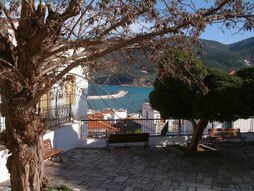 'Mama Mia' island of Skopelos, Greece. 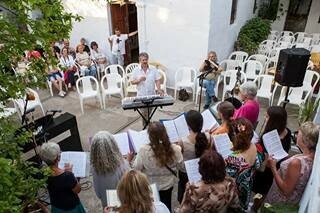 The two-day Skopelos Singing Workshops are held annually to coincide with the festival. 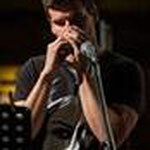 In past years, performers at the festival include local singers and musicians of many nationalities as well as invited guests. 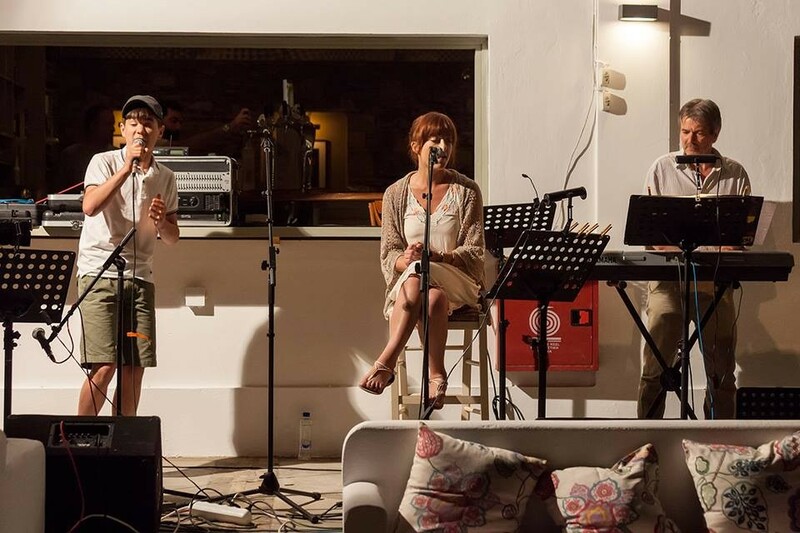 Performances take place across many venues in Skopelos town throughout the week of the Festival. 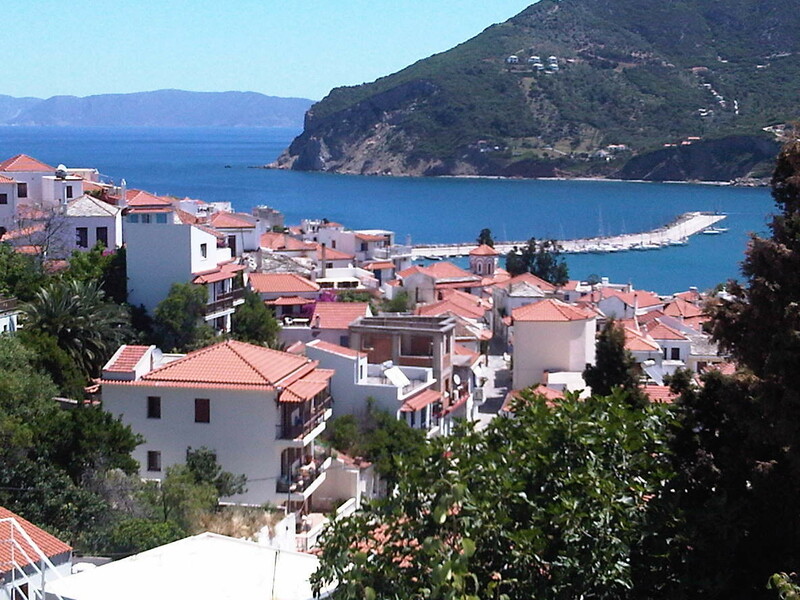 Along with Skiathos to the west and Alonissos to the east, Skopelos is one of the Sporades group of islands situated directly north of Athens on the eastern side of the Greek mainland. Having no airport, the island has remained unspoilt and is designated as one of three areas in Greece of 'outstanding natural beauty'. 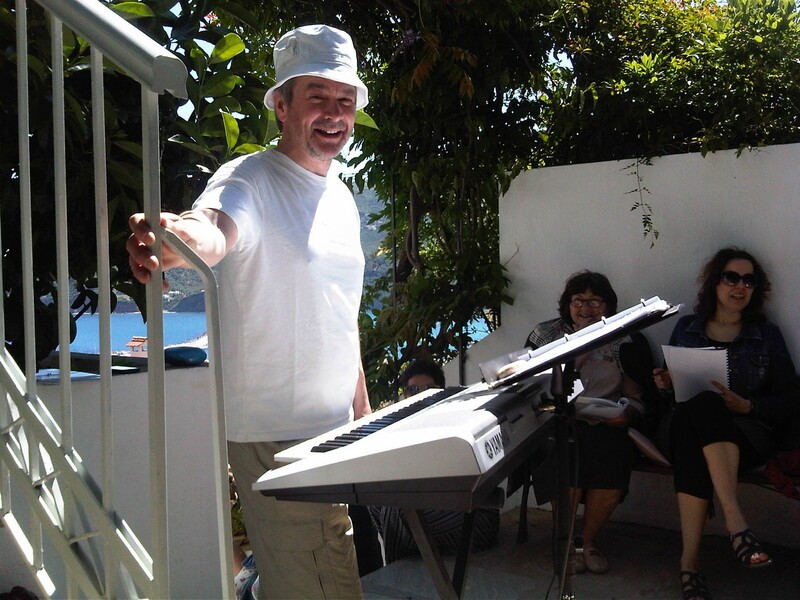 The 2017 Singing Workshops on Skopelos took place over the weekend of Saturday 1st and Sunday 2nd July 2017 with performances during the following week on Tuesday 4th and Wednesday 5th July. 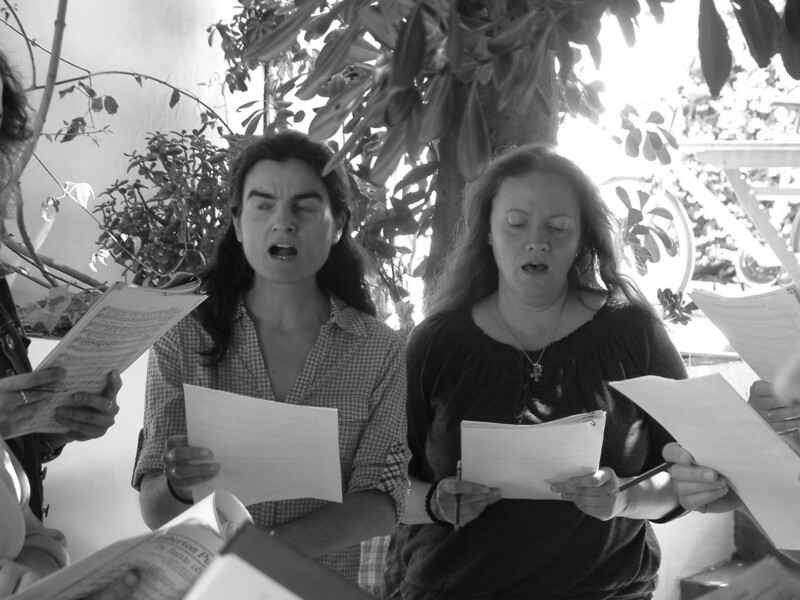 We were delighted to be joined by well-known Greek tenor Stathis Karagiorgis, as well as pianist Nikos Adraskelas from Horto on the Pelion and flautist Eleftheria Fragoudaki from Volos. 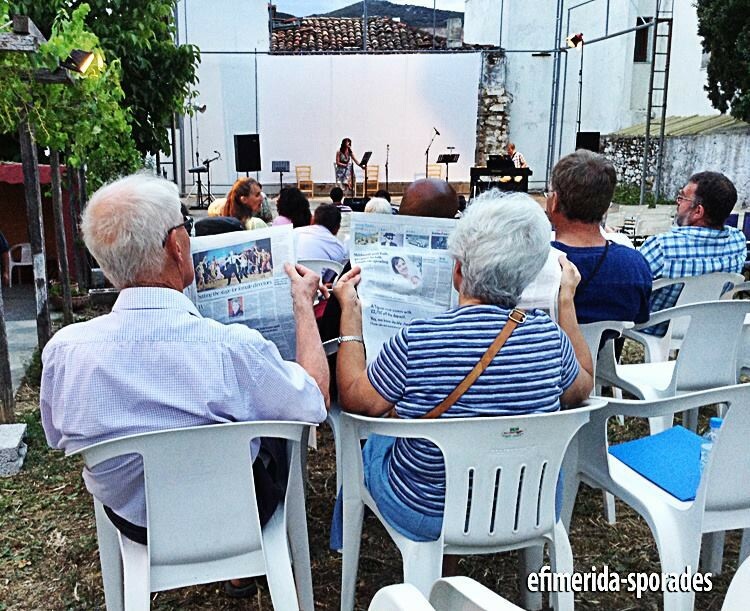 We performed again at the beautiful Livadiotissa Monastery and for the first time in Orfeas cinema. 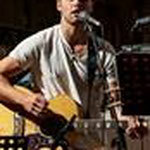 This venue proved to be very successful with a very good acoustic and it drew a large audience. 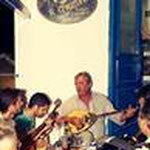 The concert were supported by The Cultural Association of Skopelos and by the Municipality. 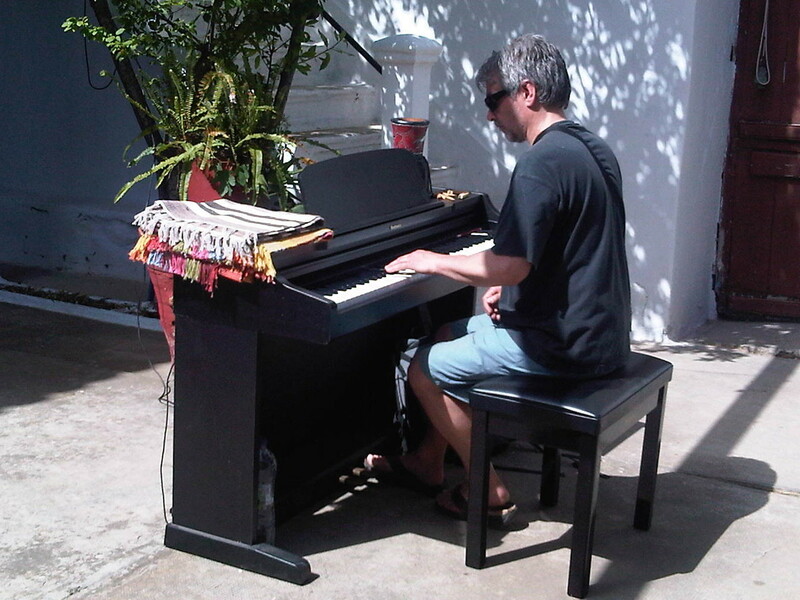 Unfortunately, given the natural disaster that befell the island in September 2015, and with ongoing repairs to buildings and roads on the island, there was again no Music Festival. 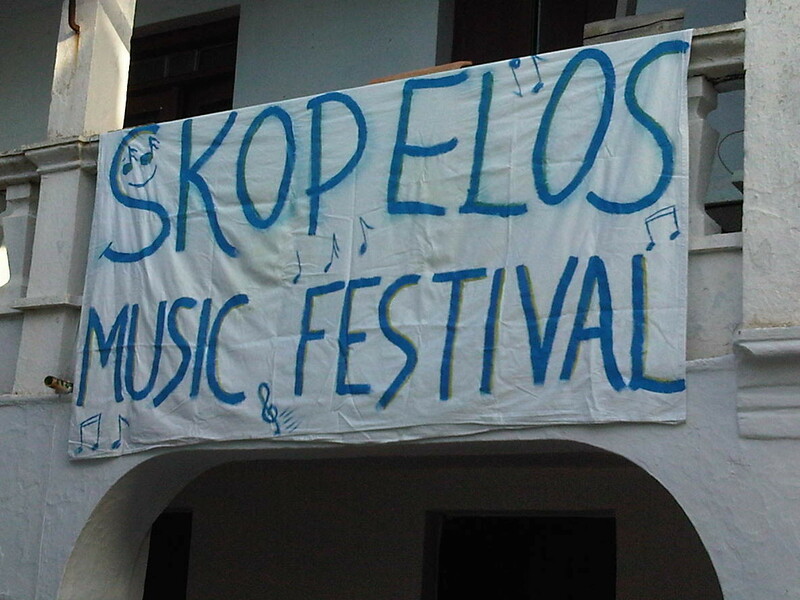 Please however check out the Skopelos Music Festival page for information regarding past events. 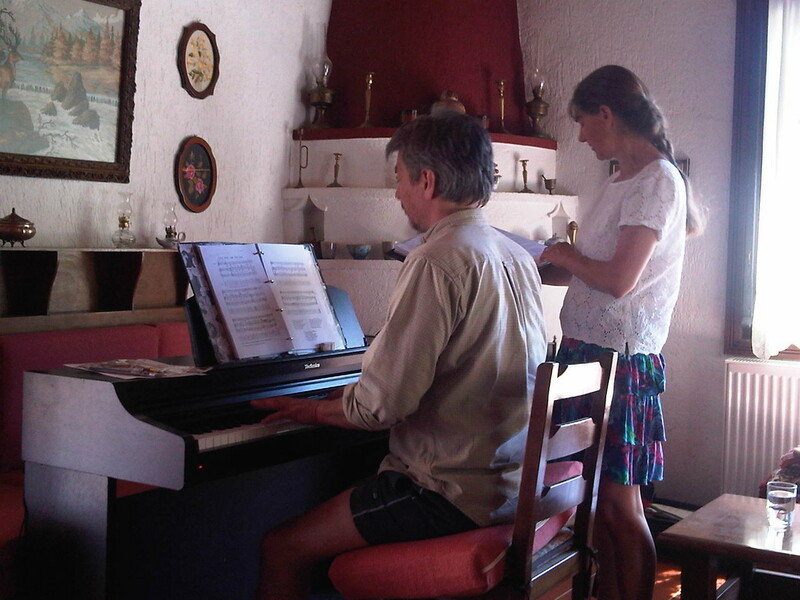 For more information about the Skopelos Singing Workshops, please click here. 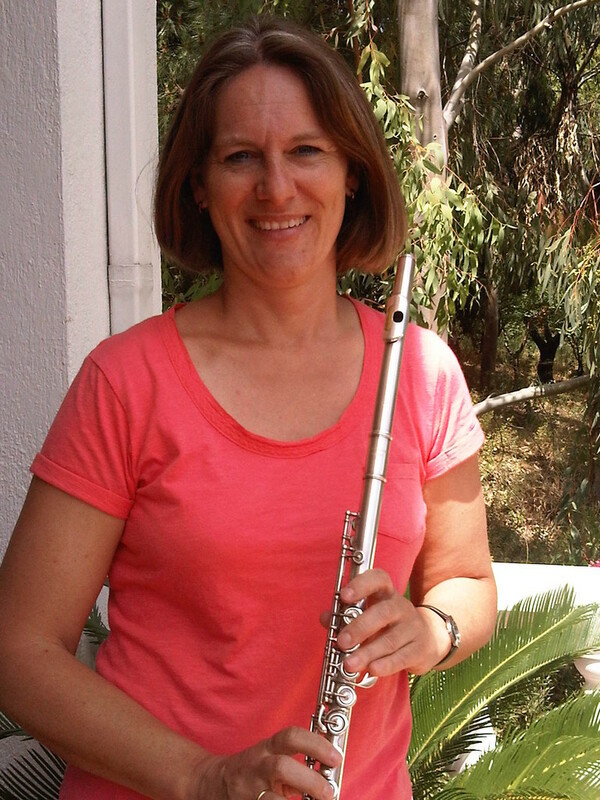 Skopelos Music Festival final programme. 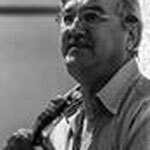 The Skopleos Singing Workshops are run by Rod Iliffe, a well-known Musical Director in the Midlands, UK. 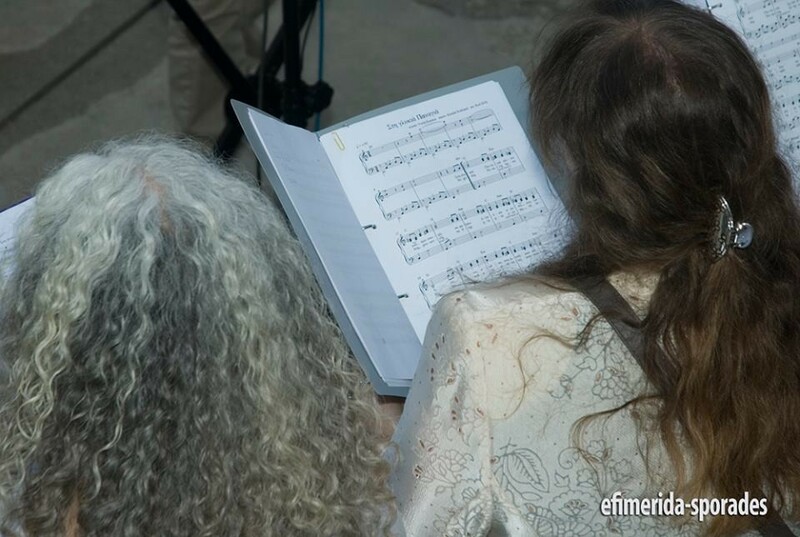 All singers, whatever their experience, are welcome to participate. 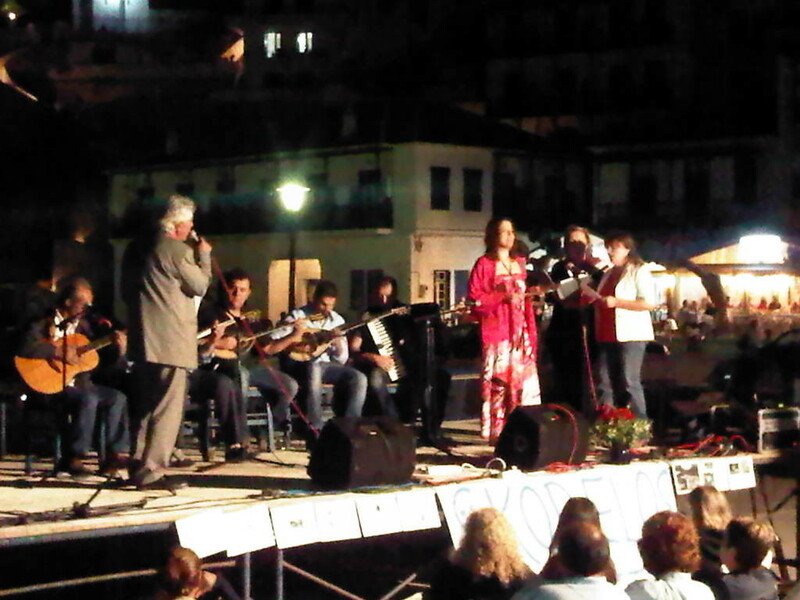 During the Music Festival in 2013, the choir took part in four concerts during the week: on the opening night at the Old Port; at the Asklepion, and at the final variety concert at Orfeas. 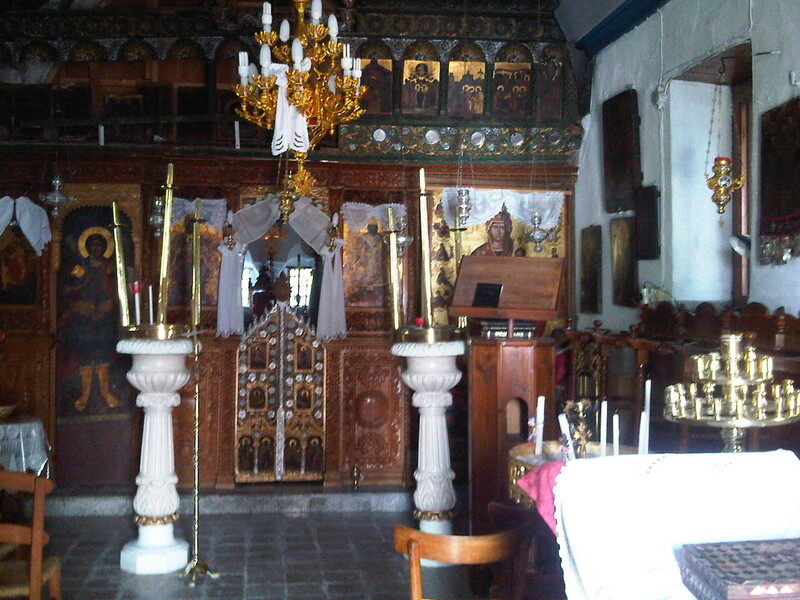 Plans for a performance at the largest church on the island, Panagia Papamiletiou were replaced by a concert at the wonderful Livadiotissa Monastery, which included Renaissance music sung by soprano Lucille Clitherow. 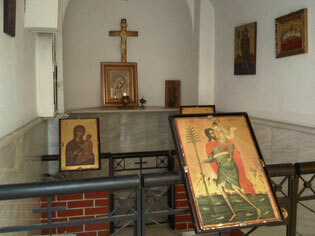 The choir sang in four languages - English, German, Latin and Greek. 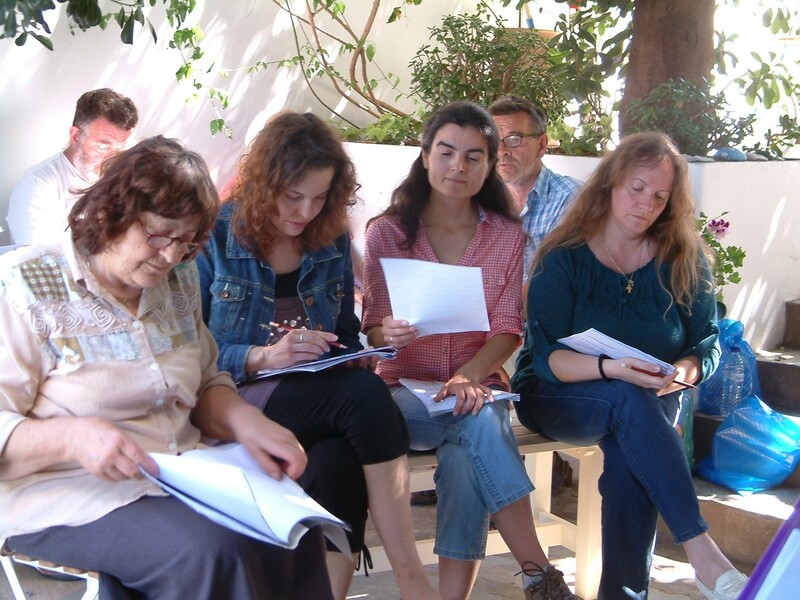 I was delighted that the premiere performance of Στη γλικια Παναγια (To the Sweet Virgin), my setting of Voula Karatsa's words, arranged by Rod Iliffe, was included in the programme. 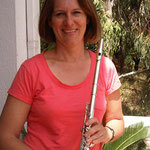 Video clips of Lucy Clitherow and choir performances are available below.